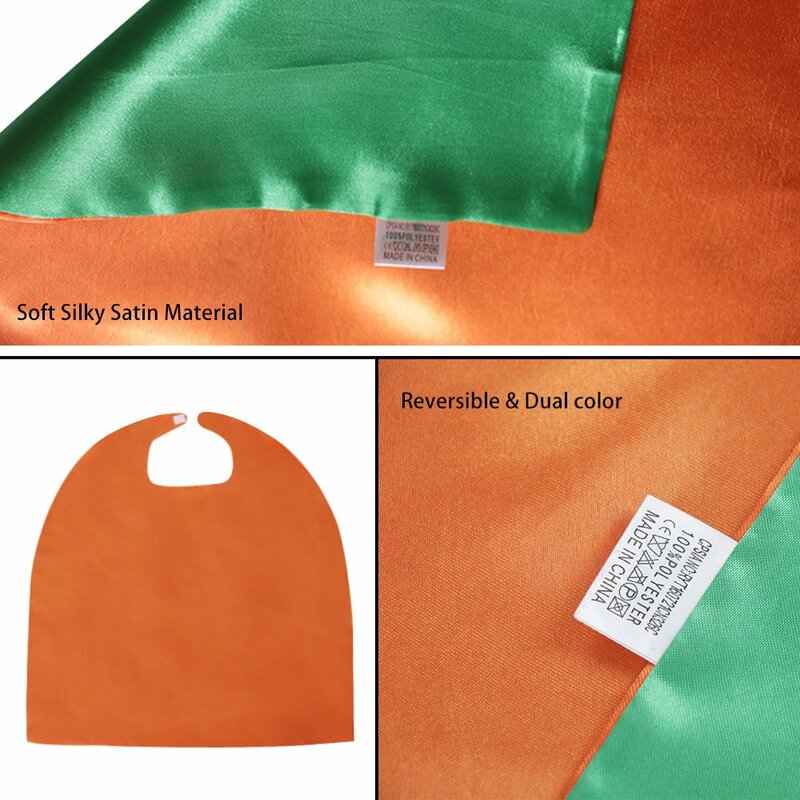 Dress up cape, reversible dual color-orange and green, made of excellent satin. 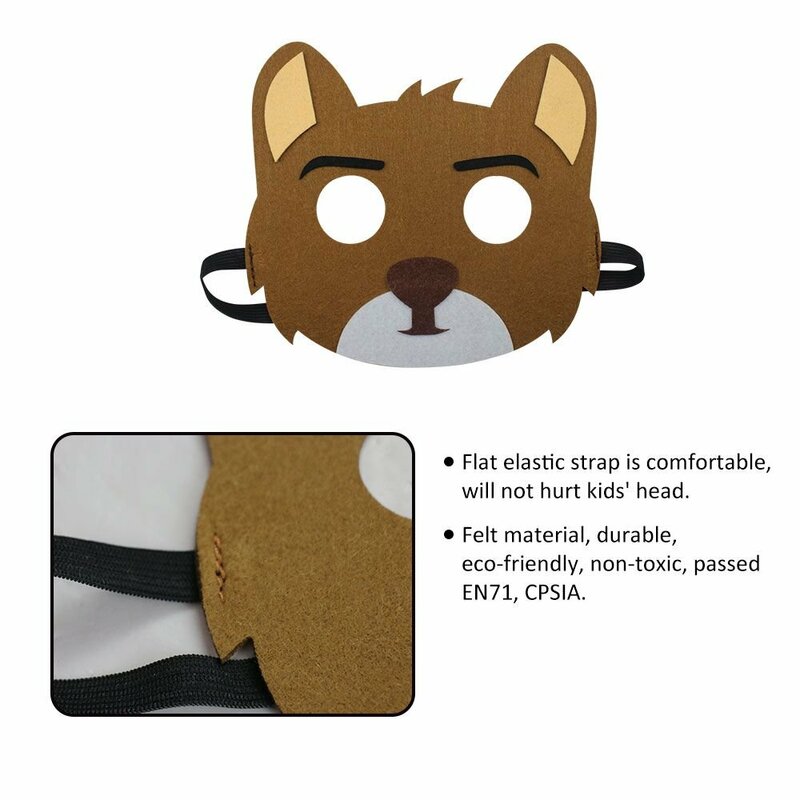 Fox Mask for kids is made of soft felt. 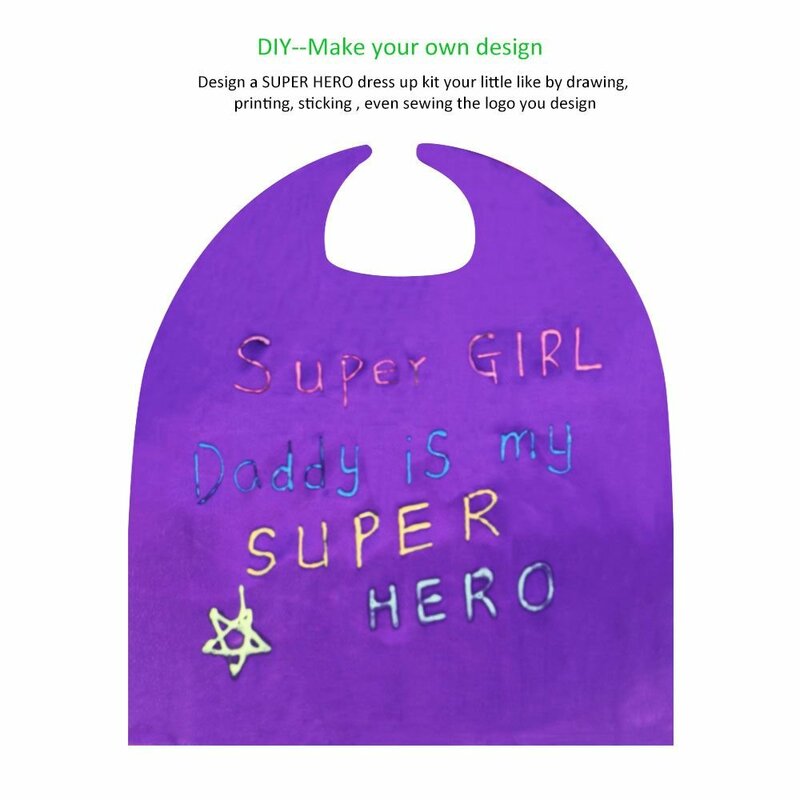 Kids can use their imagination to design a Super Hero cape by drawing, printing, sticking, even sewing the logo they design, make it unique from others. 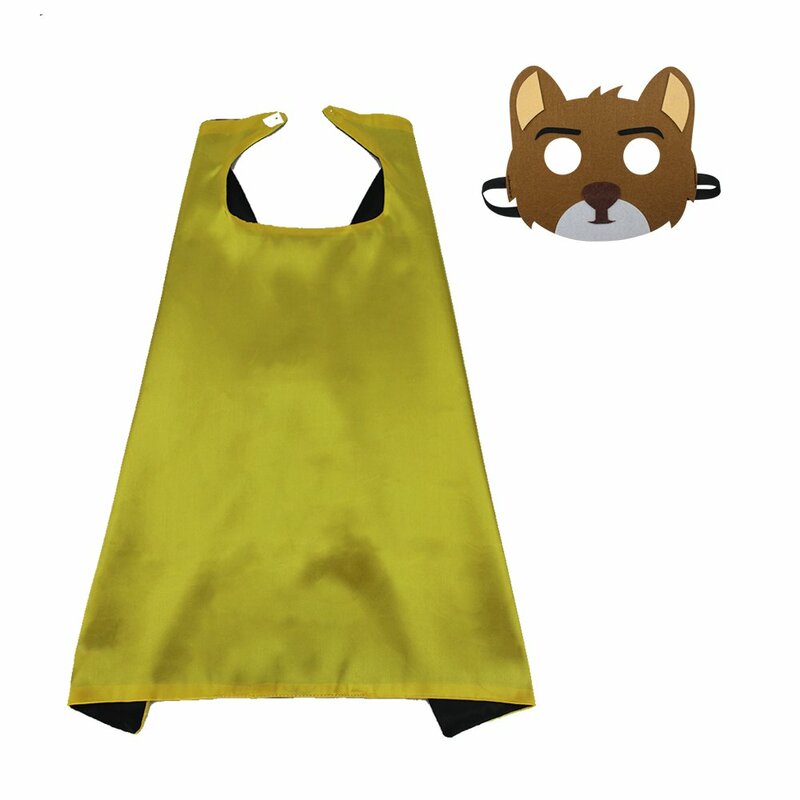 Kids fox mask is the great favor for your little to pretend to be the Fox. 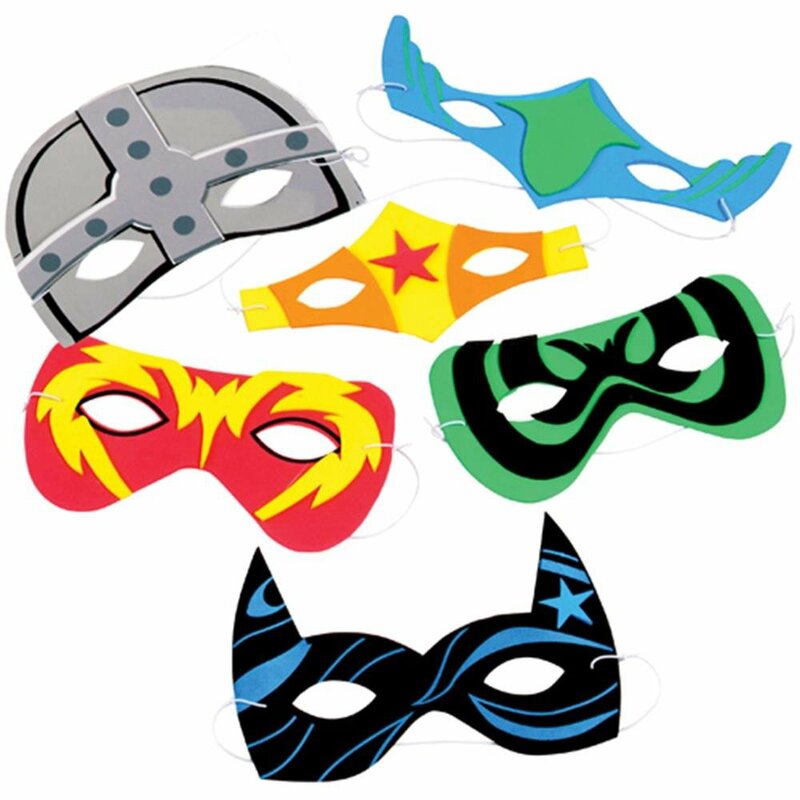 Good Choice for your Animal Themed Birthday Party, pretend play, Cosplay, Masquerade, Christmas, Halloween, Kids Dress Up, Costume Party. 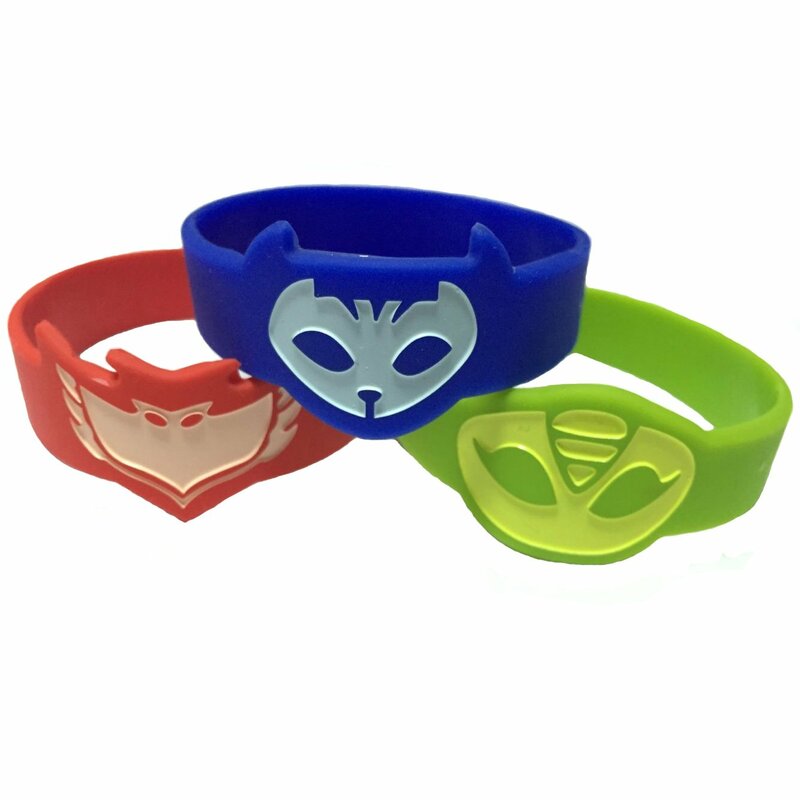 Also a good choice for party return gift. 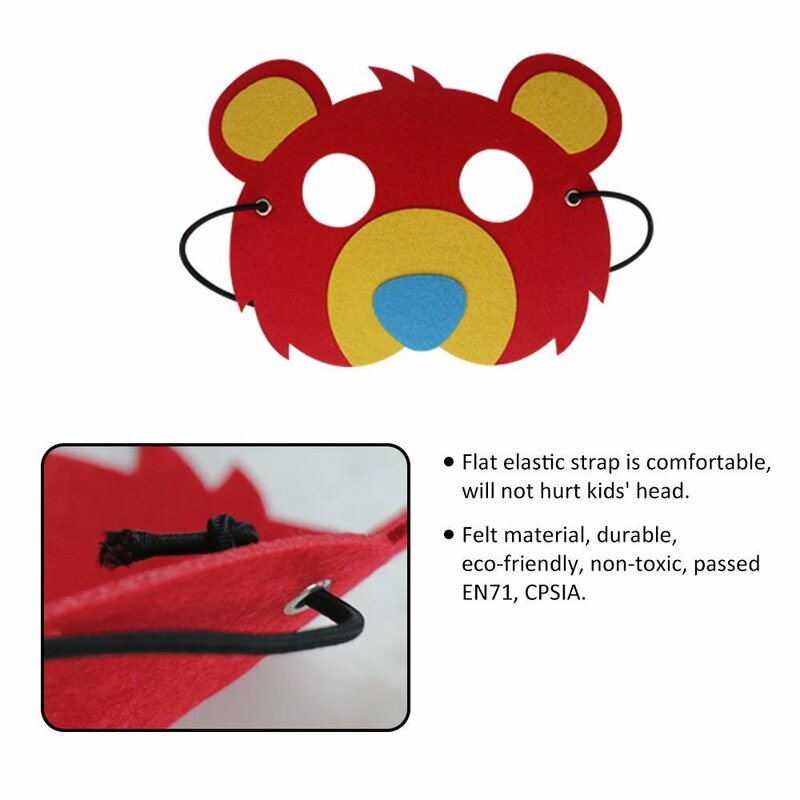 Velcro closure at neck, easy and safe for kids to put on and take off. 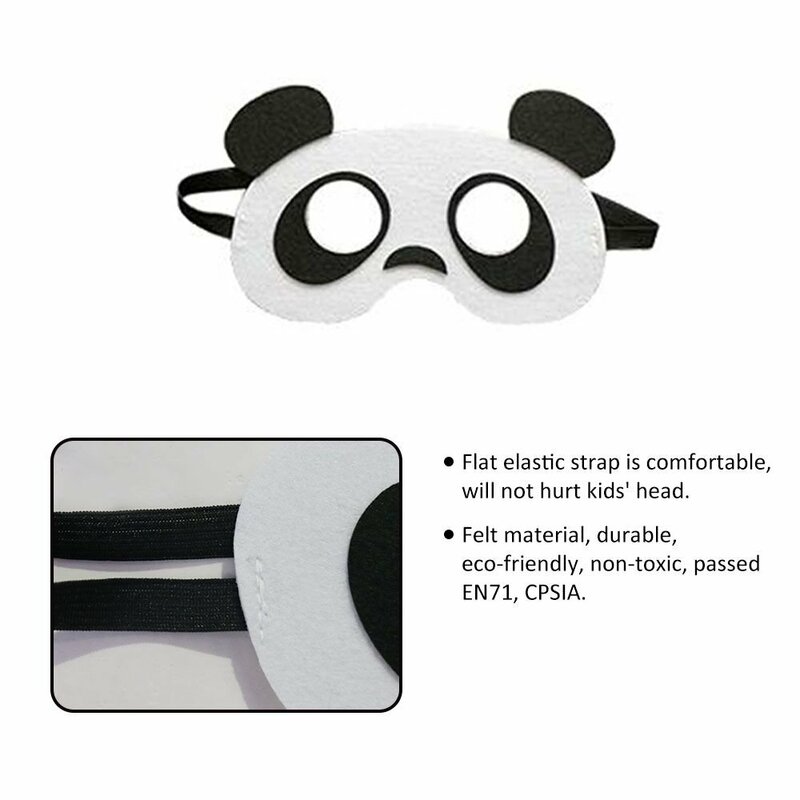 Flat elastic strap of fox mask kids is comfortable, fits a range of head sizes. 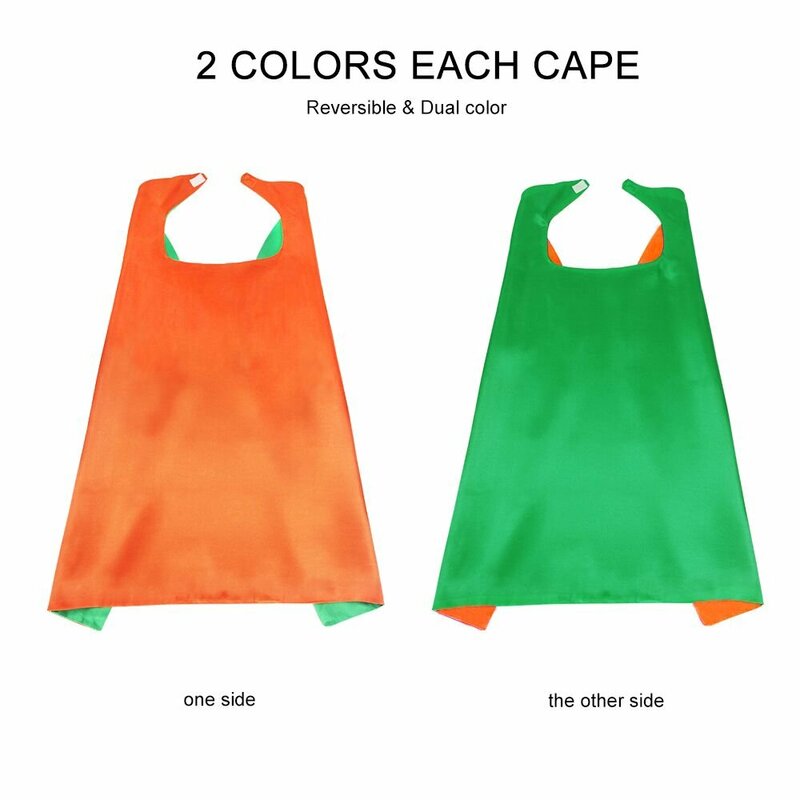 One size fits most, 70cm*70cm, good for 3-9 years old kids. If you go down to the woods today...you might find a little fox, bear, rabbit, panda looking gorgeous in our woodland animal mask! 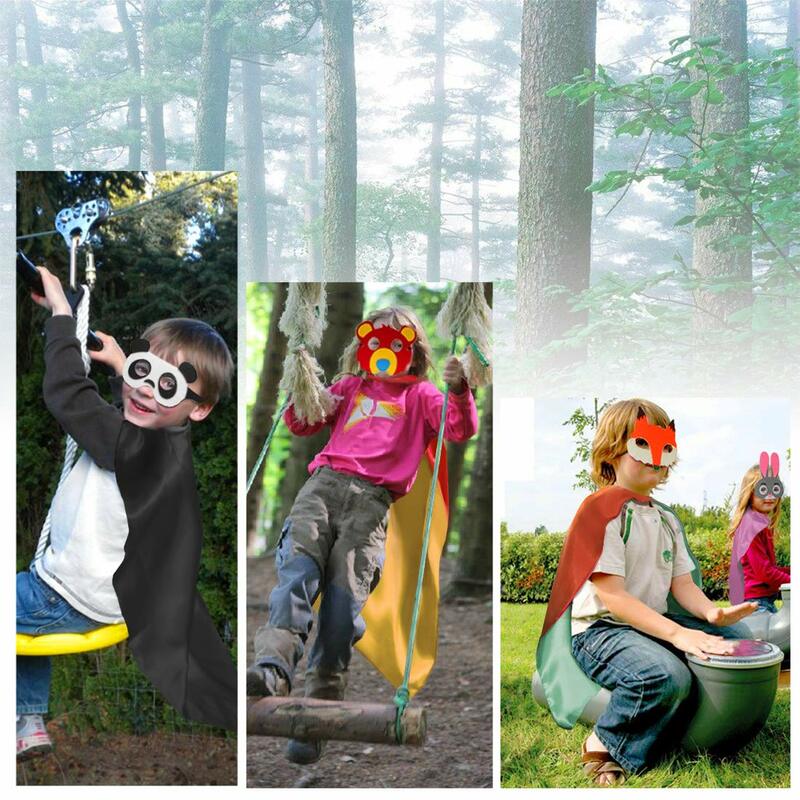 Flying Childhood is aimed at creating a campsite where children’s imagination can run wild. Every kid dreams of flying freely. Every kid loves the animals in the nature and nothing like pretending to be their favorite animal makes them excited. 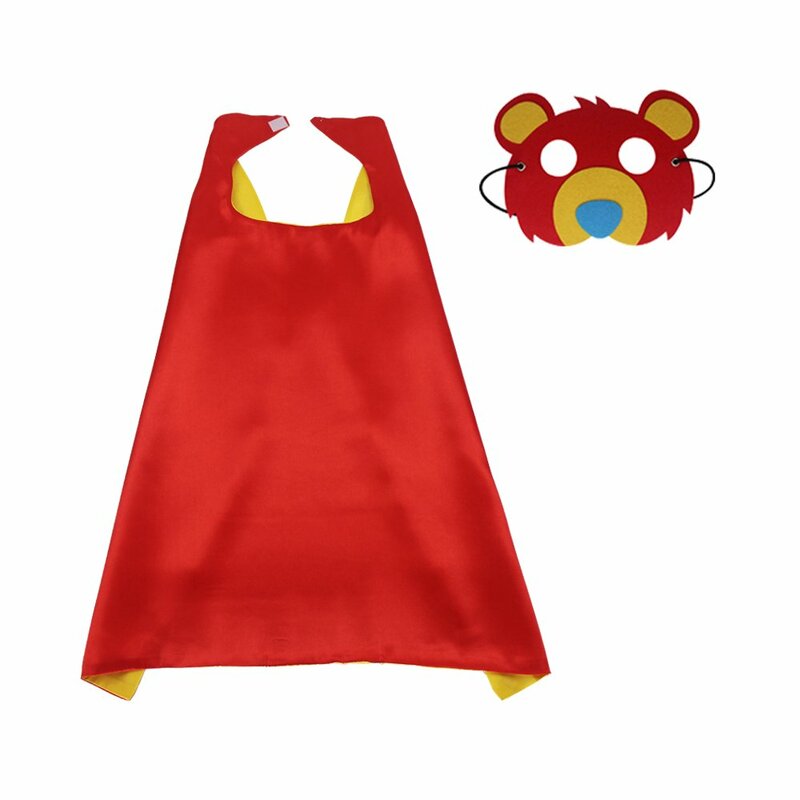 Put on the dress up cape and cartoon animal mask, run and the cape floats up through the wind, children will imagine they are like a Flying fox, bear, rabbit, panda. Let their imagination soar freely! 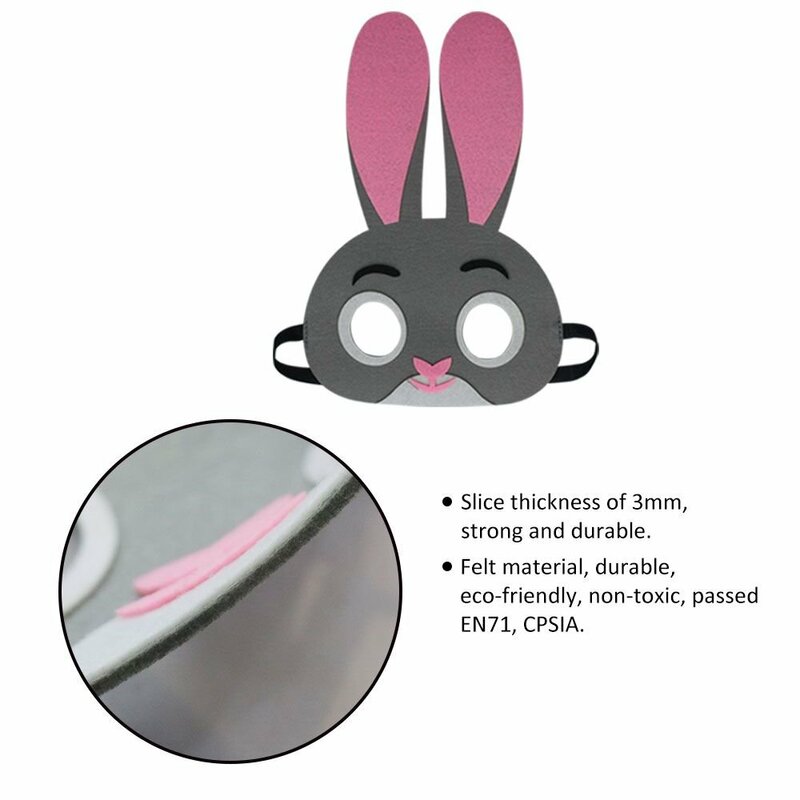 Kids will get lots of pleasure from the Pretend play. 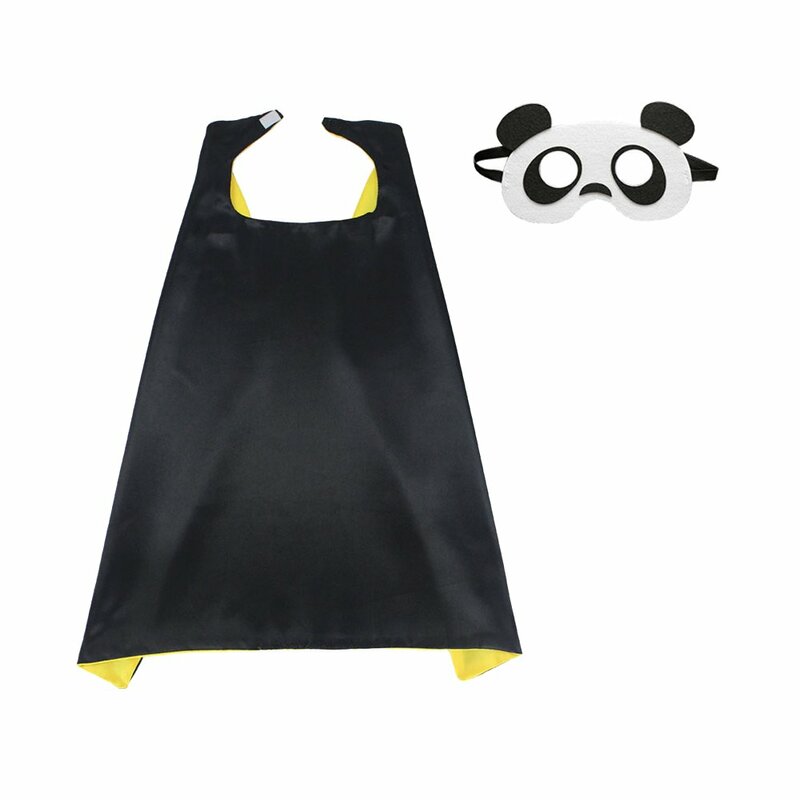 Besides, kids will desire to obverse and enjoy nature, be closer to nature. 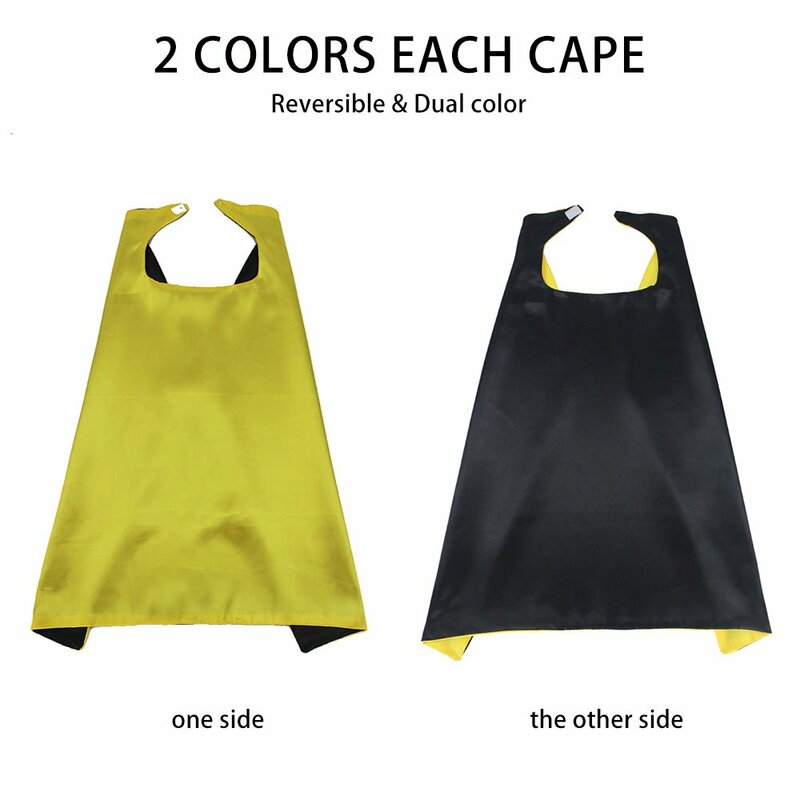 Dual Color Reversible cape is made of satin with pretty colors. 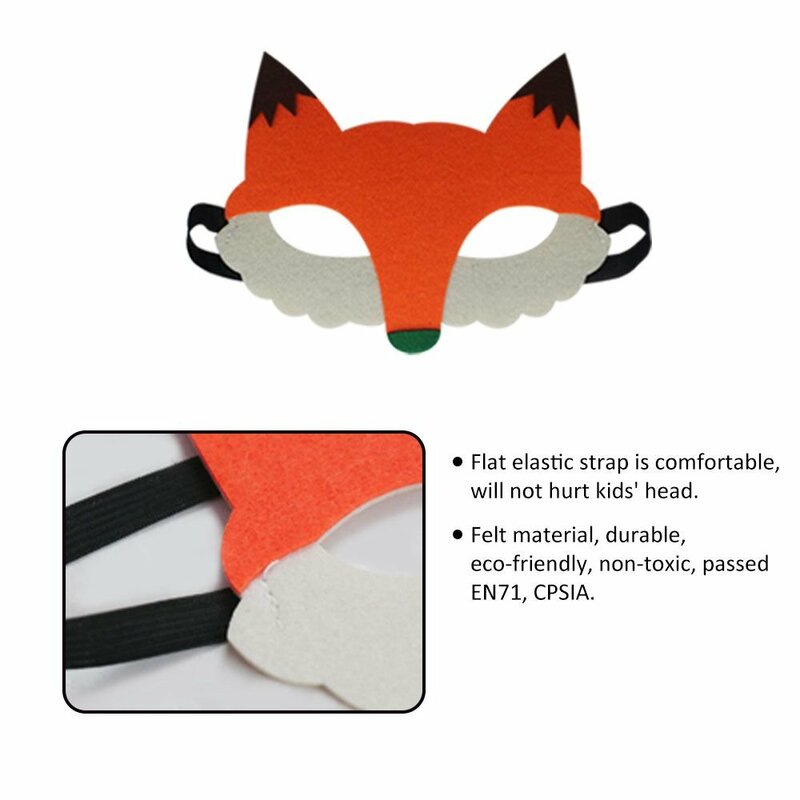 Fox mask for kids is made of felt, safe and nontoxic. 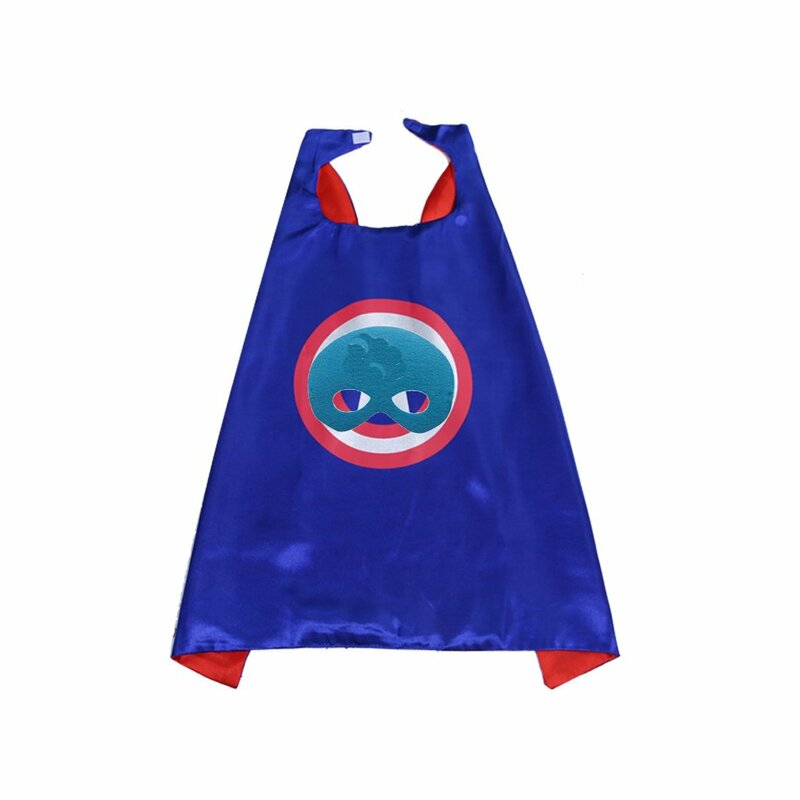 All of our products are environmentally-friendly, harmless for kids. We have passed the CPSIA Certification, the EN71. 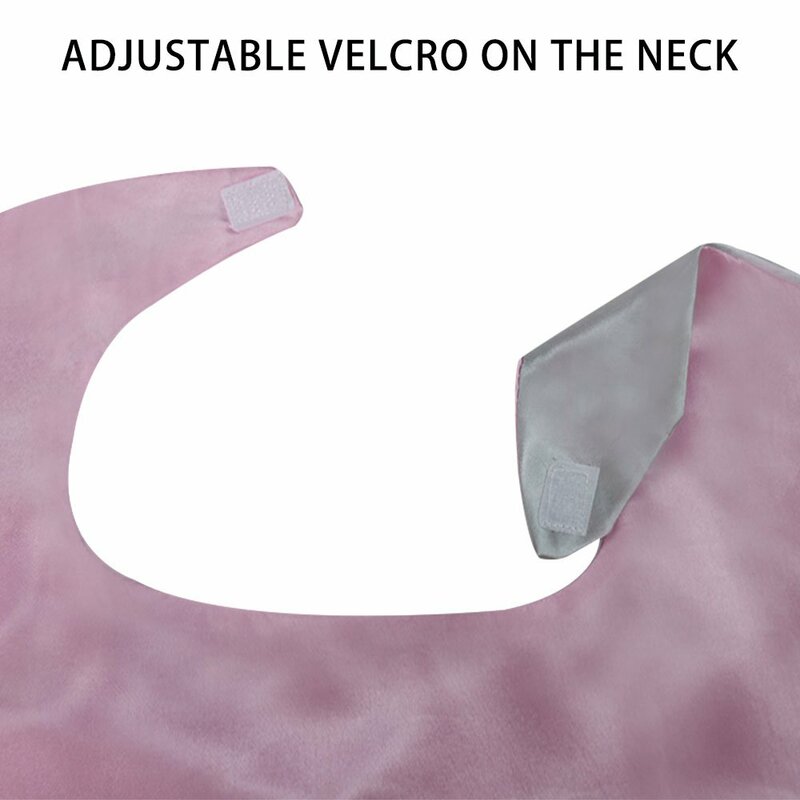 Velcro on the neck is easy for children to put on and take off. 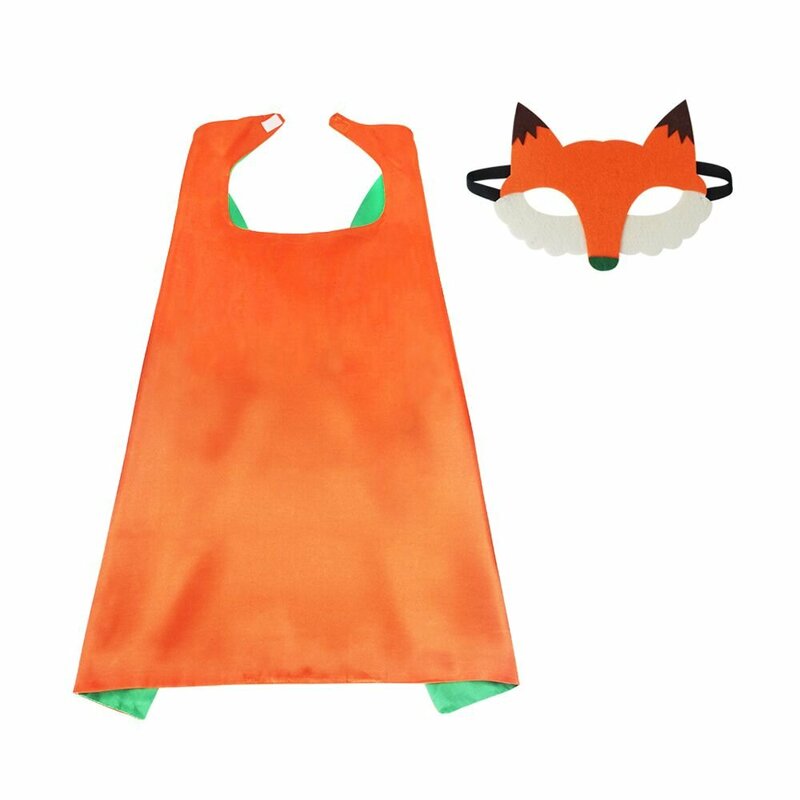 Flat elastic strap of kids fox costume is comfortable, fits a range of head sizes. 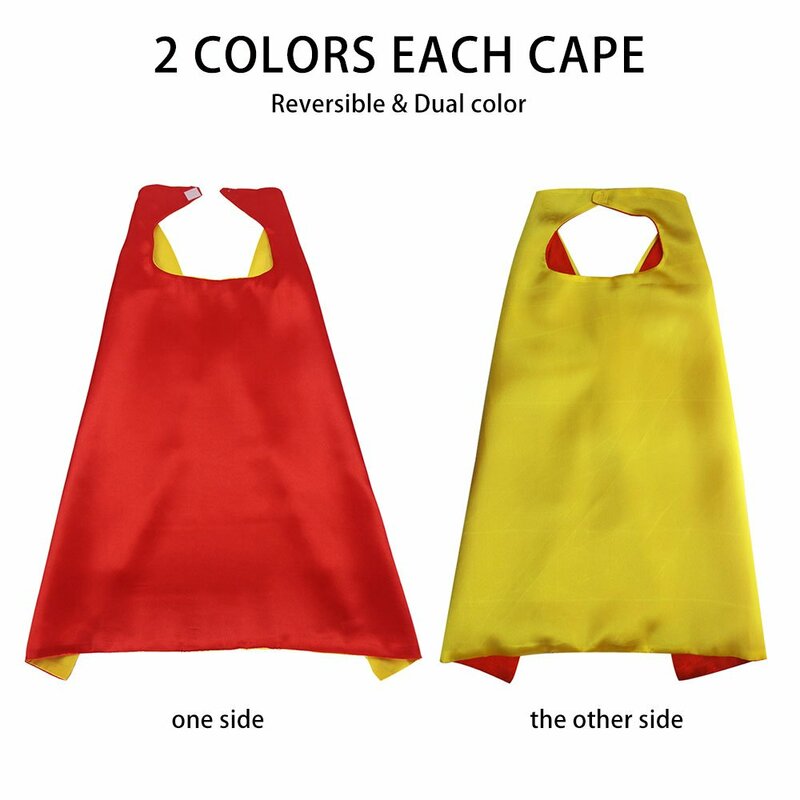 The size of cape costume is roughly 70cm*70cm, suitable for 3-9 years old kids. 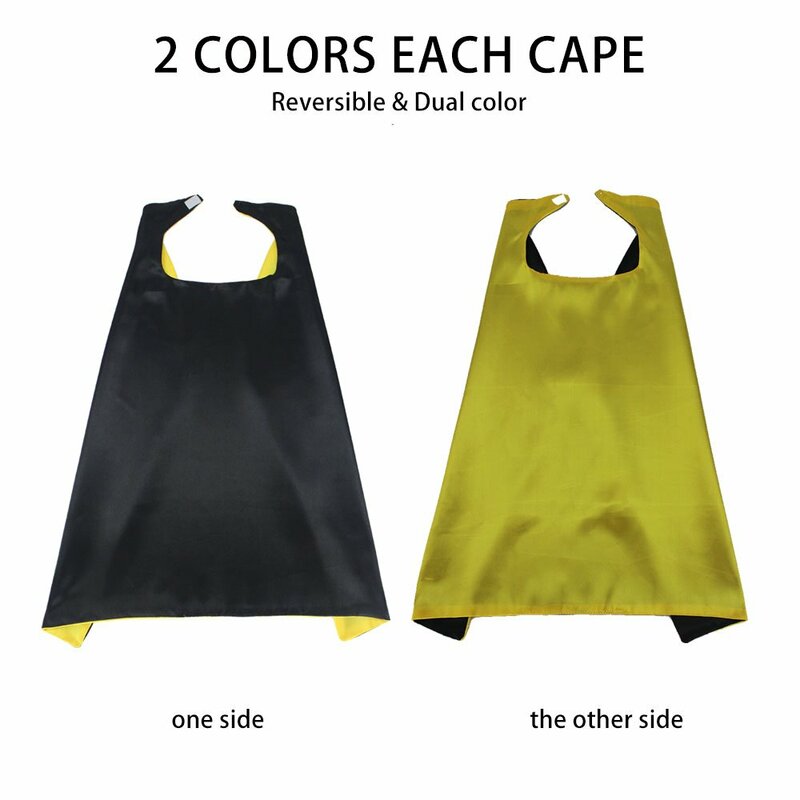 Capes should be ironed in low temperature before use, hand washed in cold water after use and air dried. 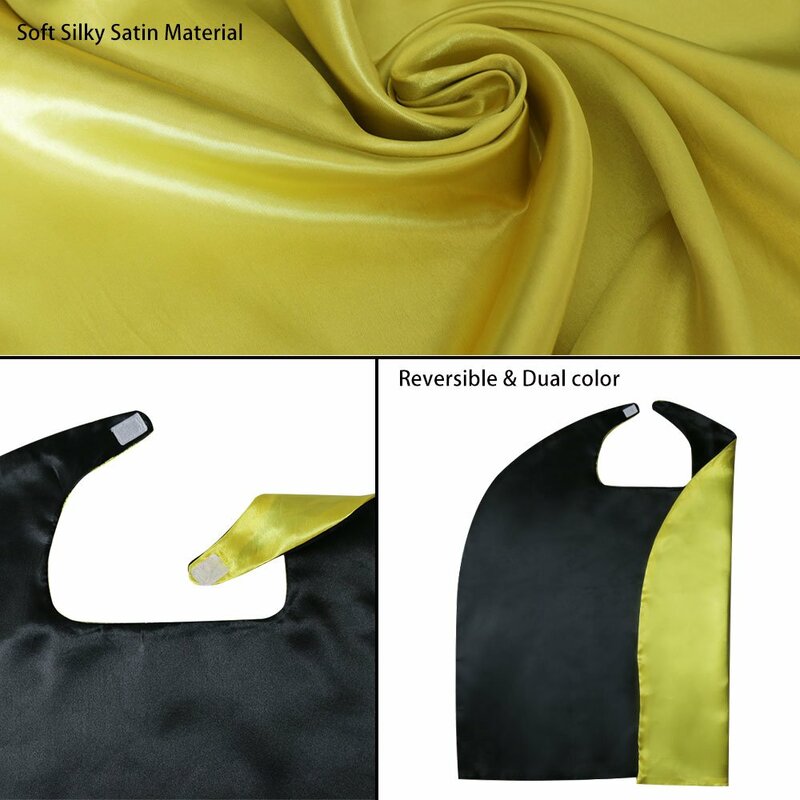 We aim for 100% customer satisfaction. 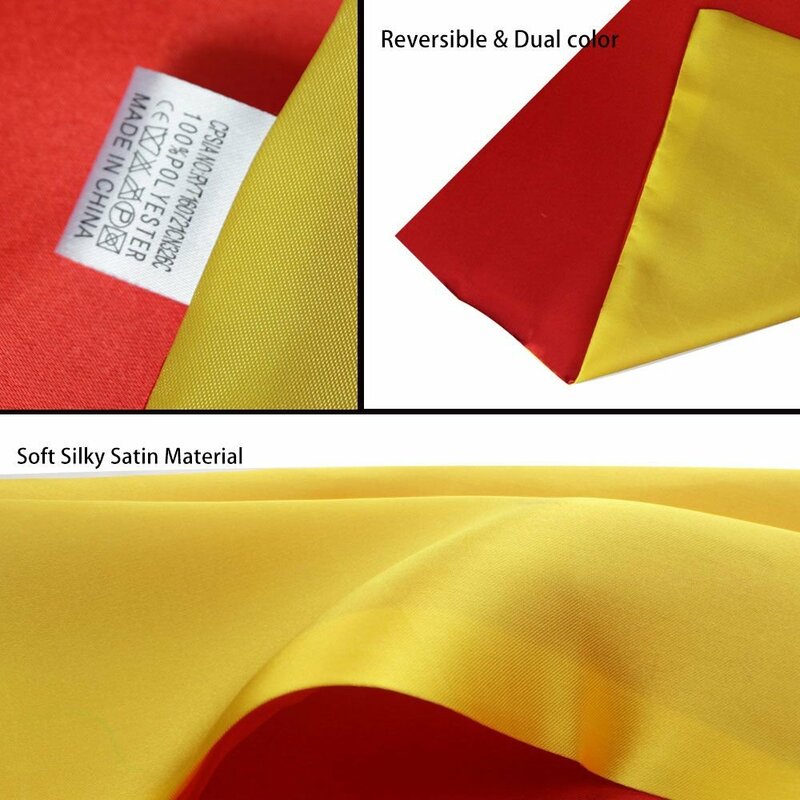 If there are any problems with the product please let us know. 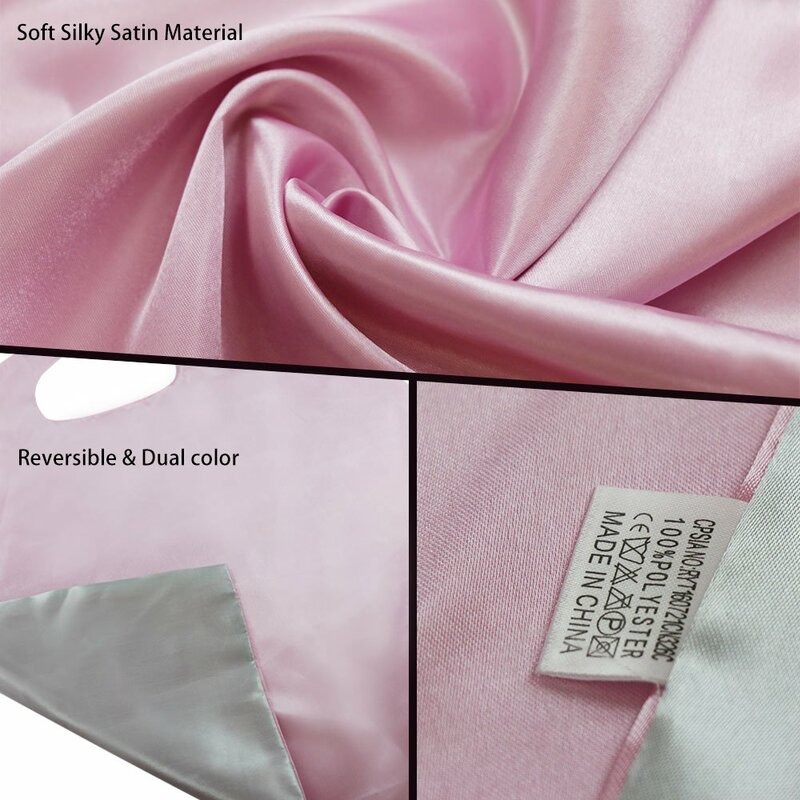 We provide easy refund possibilities and timely shipping. 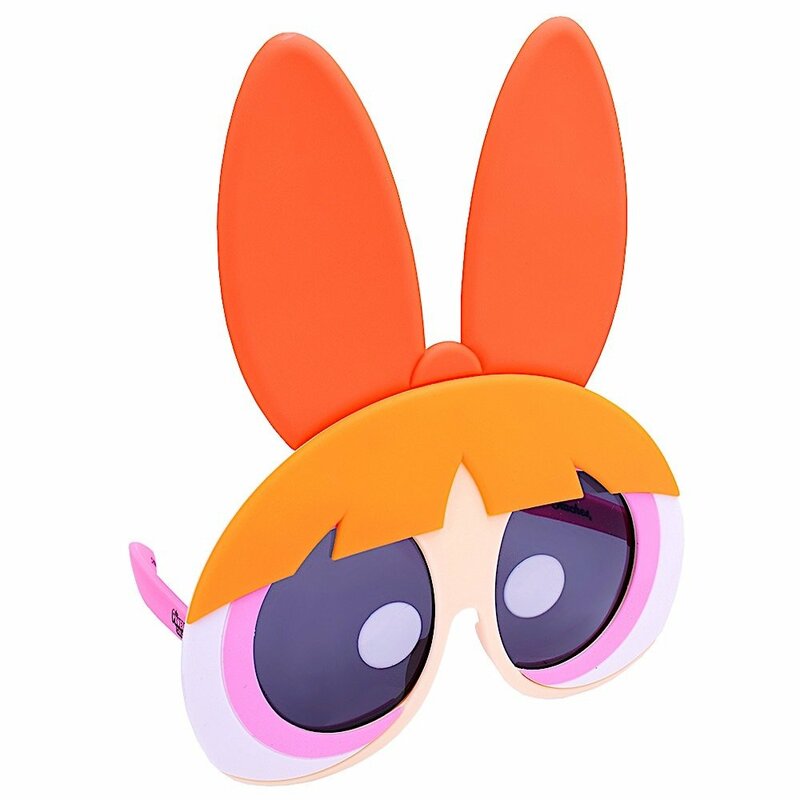 Super cute and really good quality for the price! 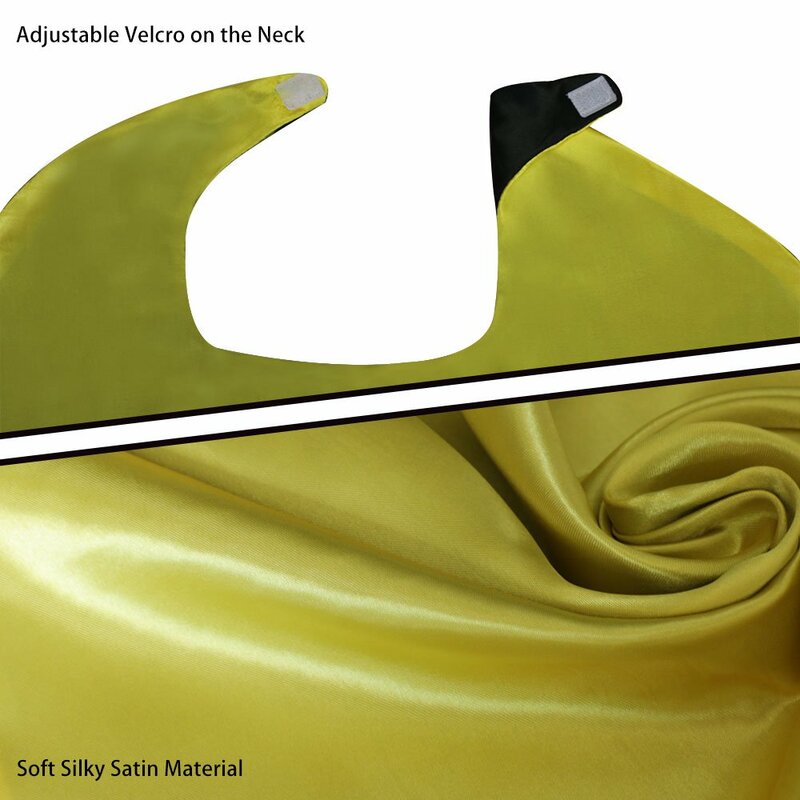 The photo of the cape looks like it is more of a plushie type material, it is silky.